The Spider Rotary Harrow Conditioner is an innovative self-driven rotary harrow. The Spider rotary harrow can be used for renovating arenas and driveways to conditioning any sand, soil or gravel surface. 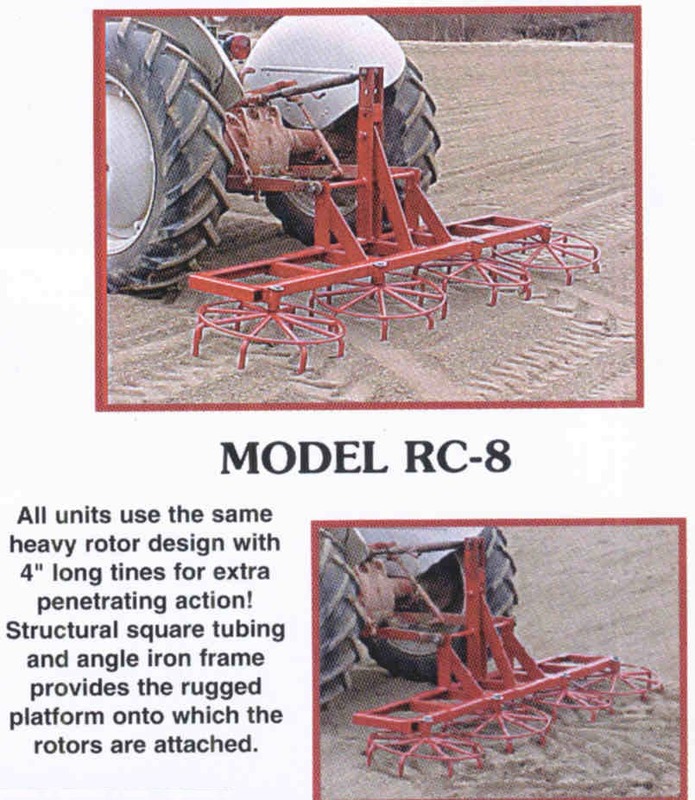 The rotary harrow has 2 ft. diameter rotors are set at an angle so they rotate as you pull the unit forward through the soil. The smaller diameter of these rotors, allow them to turn more revolutions single wheel rotary harrows, giving you more mixing action; works especially well in sandy soils and arenas with a sand/soil mixture. 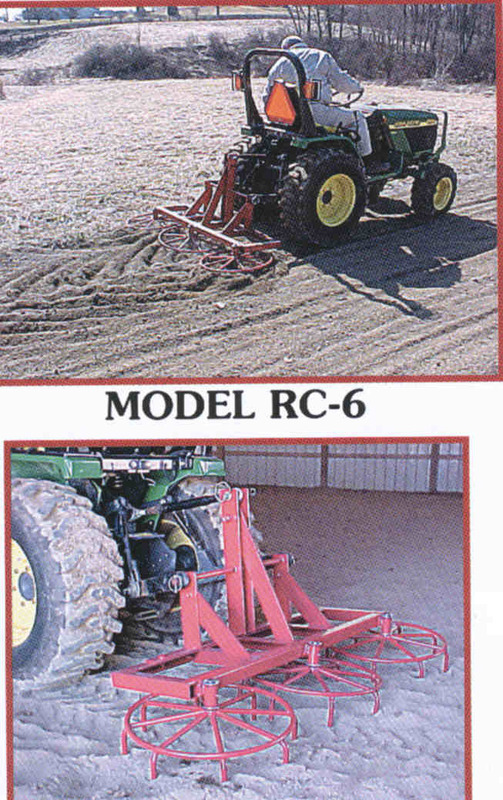 The RC-4 is a small tow behind model for use with ATV's or garden tractors. Model RC-4 has permanently mounted transport wheels, turn the unit over on the wheels for quick transport.